Holbein has created a unique and versatile product for the decorative and fine artist. It can be used as a traditional underpainting on all surfaces, including paper, cloth, many canvases, wood, stone, and primed metal. 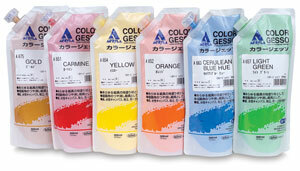 It also acts as an extremely opaque and ultra-matte finish acrylic paint medium. Finally, it’s a fantastic acrylic paint. 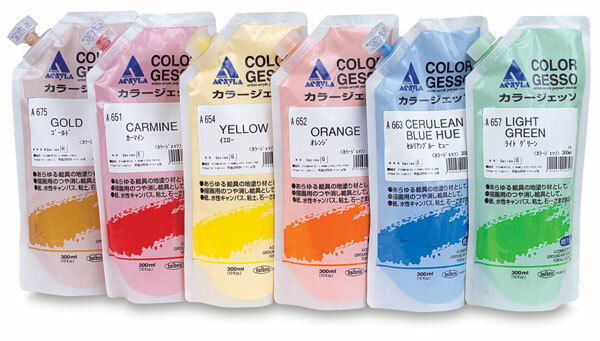 Holbein Colored Gesso is highly pigmented, with an extremely smooth texture. It can be mixed with any acrylic paint or medium and finishes to a matte surface. It may be overpainted with water-based or oil-based colors or pastels. Available in a full spectrum of beautiful colors.